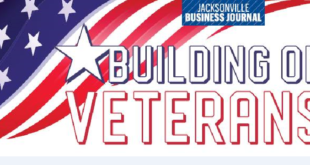 Jacksonville University has been selected among the top schools on the Military Times “Best for Vets Colleges 2017” list, the most prestigious of such designations. There was graduating senior Amalia Galdona, 22, a double Sculpture and Art History major, taking photos of St. Vincent’s Healthcare workers giving screenings to grateful residents, for a documentary project shepherded by Photography Prof. Ginger Sheridan. A special brand of honor and integrity was in the air at Milne Field Saturday, as the University recognized current and former service members at its Military Appreciation Football Game vs. Davidson College. Dozens of top-level higher education officials will be in Jacksonville touring JU and surrounding Navy bases Thursday through Saturday, Oct. 15-17, as the University hosts the 2015 annual national meeting of the Association of NROTC Colleges and Universities.